"In the coming days, if you don't restrain your enthusiasm for Apple's new iPhone introductions, you'll invariably be called fanboy or fangirl (fanperson?)." Heh,heh, self diagnosis at almost 51%. 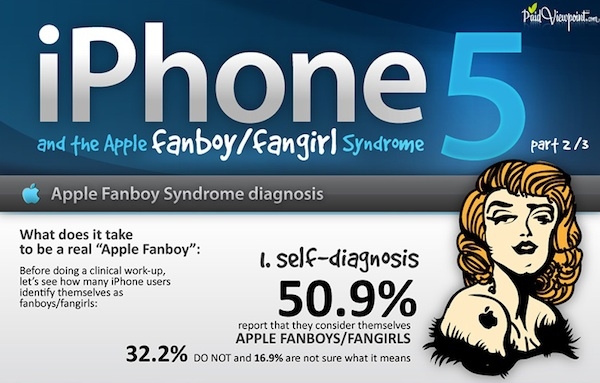 I guess by this chart I am indeed a fanboy, even though I never really considered myself one. Numbers don't lie though do they?